Are you also facing the similar issue? Need to export Office 365 Calendar? Do not worry, you are landed on the correct page. 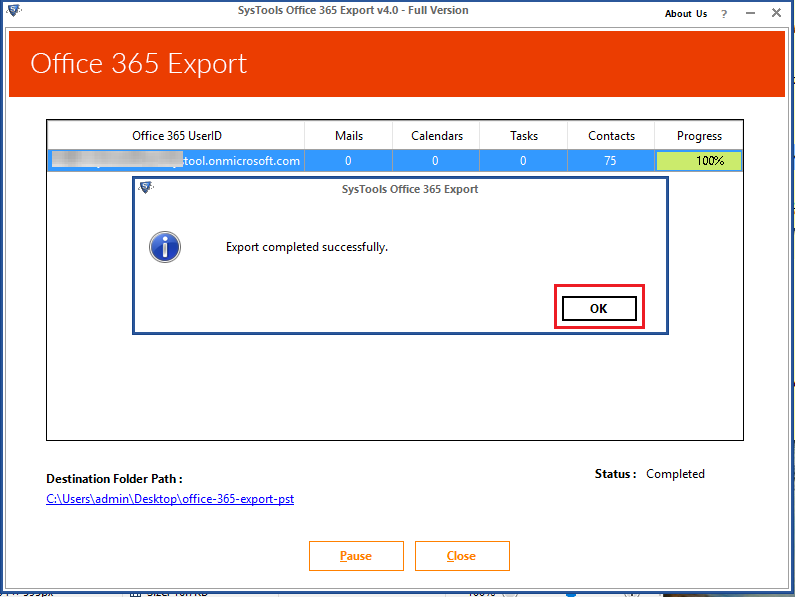 In this blog, we are going to introduce a step by step procedure using which the user can easily export calendar from Office 365 Online. Data protection is very important for every user. Therefore, the user creates the backup of data to protect data from the catastrophic conditions. Most of the people adopt the traditional methods of exporting data to keep the backup of data. Creating backups add extra security and comfort to the document and files stored on the cloud. There are numerous reasons due to which the user wants to export data from cloud storage such as Office 365. 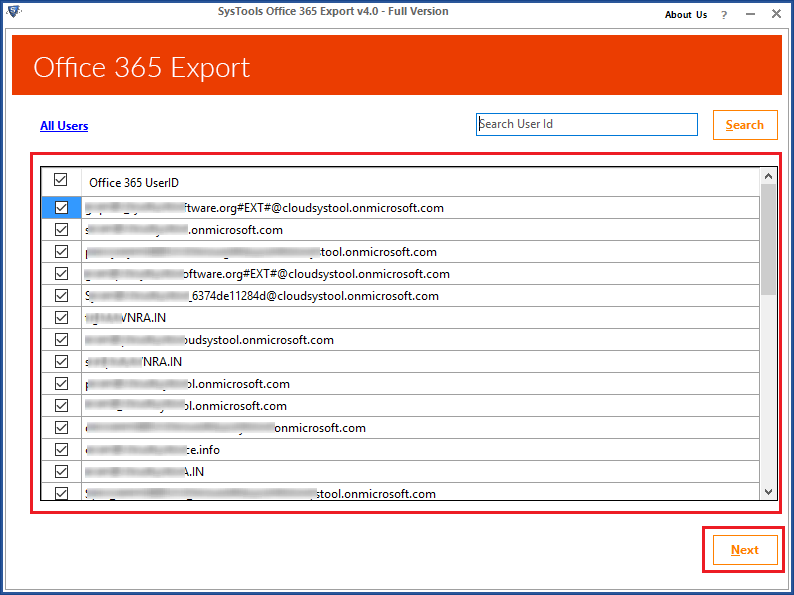 Lets us know the best solution to export Office 365 calendar in below stuff. 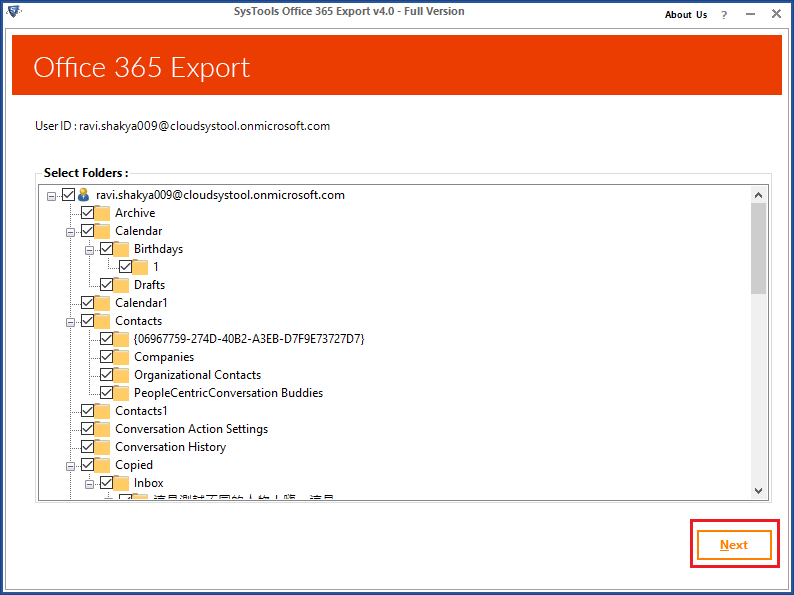 There are numerous methods using which the user can export calendar from Office 365 online account. But manual methods are complex and sometimes lead to data loss issues. Therefore, it is always recommended to opt for a reliable software. 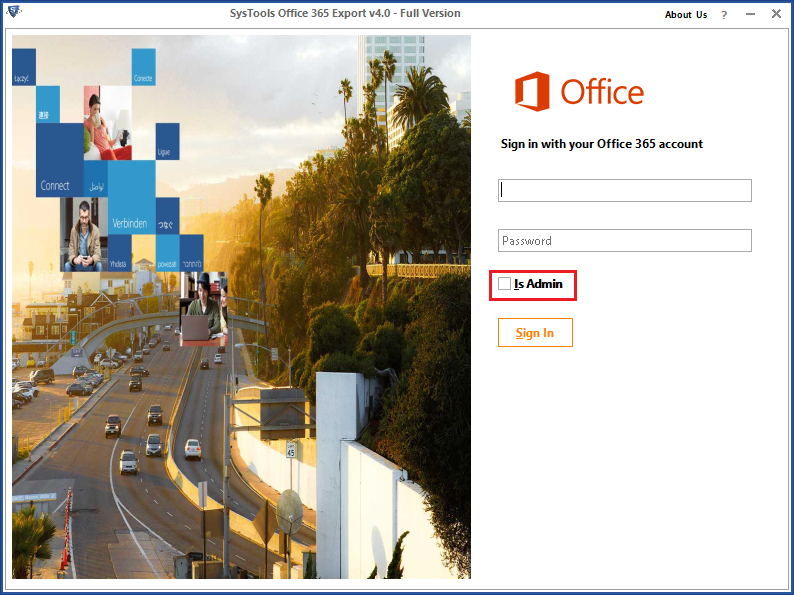 The user can make use of Office 365 Export calendar solution to extract data from Office 365 mailbox and archive mailbox in different file formats. With the help of this tool, the user can extract Office 365 emails, contacts, calendars, tasks etc. The software allows the user to export Office 365 mailbox data items in PST/ EML/ MSG file format. Moreover, the utility permits the user to export Office 365 archive mailboxes in a seamless manner. There is no compatibility issue with utility as the software is compatible with Microsoft Windows 10/8.1/8/7 and all the below versions. 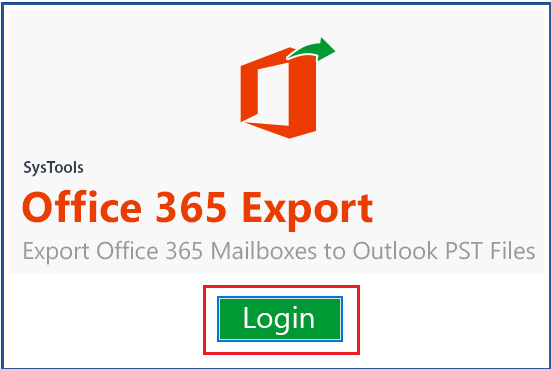 To export the calendar from Office 365 online account the user has to follow the steps given below. 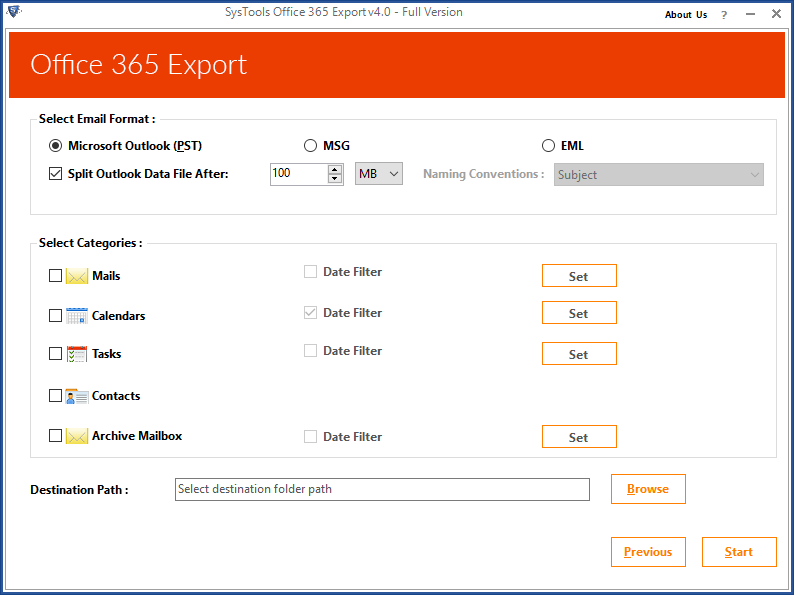 First, download and install Office 365 Export on your system and launch it. Click on the Login button and check mark the box corresponding to IsAdmin option. 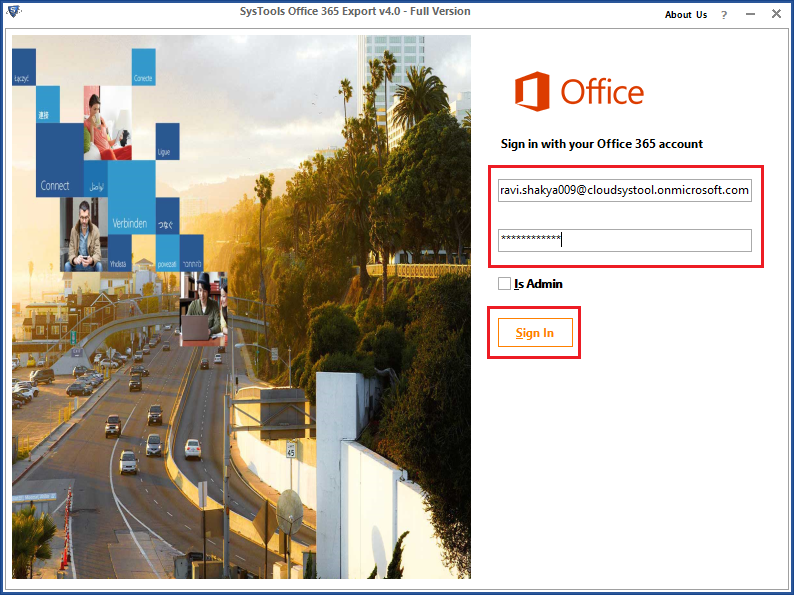 Now, add the user Office 365 email id, password and click on the Sign In button. The utility will display all the user ids under the admin id, select the required user id credentials and click on the Next button. After that, you have to select the Microsoft Outlook (PST) radio button. You can also split the data file by clicking on the checkbox next to Split Outlook Data File After option. Now, you have to choose the Calendar option. You can also apply date filter by selecting Date Filter option and click on the Set button. After that, click on the Browse button to select the destination location to save the exported calendar. Finally, click on the Start button. After the completion of the export process, the software will export the calendar from Office 365 Online. Download, install Office 365 Export Calendar utility on your local machine and launch. 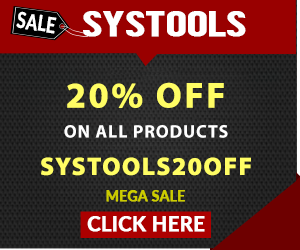 Click on the Login button. Enter the Office 365 user account credentials and then click the Sign In button. The tool will display various folder associated with the particular id. Click on the Next button. Now, in the Select Email Format option, select Microsoft Outlook (PST) radio button. To split the file, you can select Split Outlook Data File After option. Click on the checkbox corresponding to Calendar option. Select the Date Filter check box to apply the date filter and then click Set. Select the destination folder path by clicking on Browse and click on the Start button. The software will begin the export process and will export the calendar from Office 365 account. Sometimes, the user needs to export Office 365 calendar to create the backup. With the help of backups, the user can access his/her data in the data loss situation. Thus, in the above section, we explained a step by step process to export calendar from Office 365 Online is a trouble-free manner. It is always suggested to opt for a reliable and automated utility that is Office 365 Export calendar solution to export the calendar from O365. Being a technical blogger, Mr. Ashish Ratan Singh has a sufficient knowledge of different technologies such as Exchange Server, Office 365, SharePoint, but his core expertise lies on Microsoft Outlook. He has been working in an IT industry for more than 3 years and with all these years, he has now become an expert in data recovery and cloud backup. Moreover, he has a keen interest in solving the technical problems and to address the pain points of organizations to make them more productive.